Cigar cutter in which the oval motif of "OH!VAL" series. 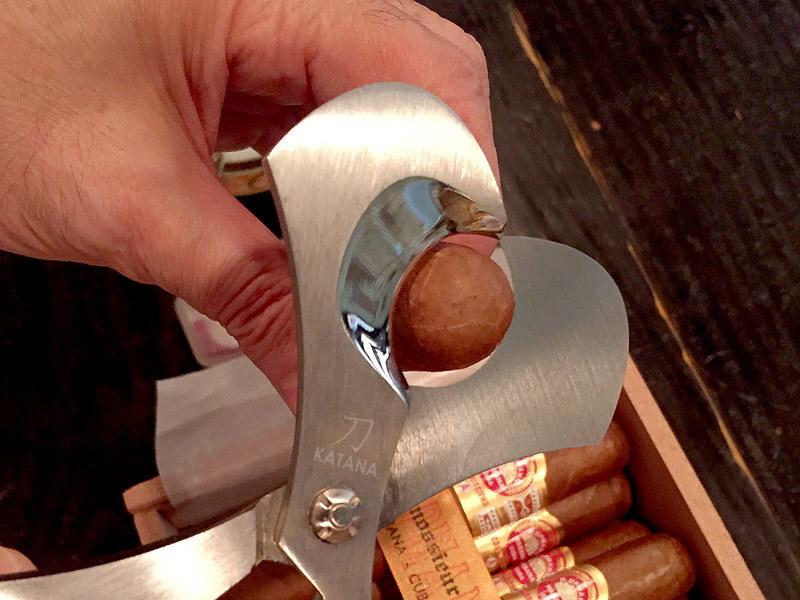 When you smoke a cigar, cigar cutting is the key for taste. OH! 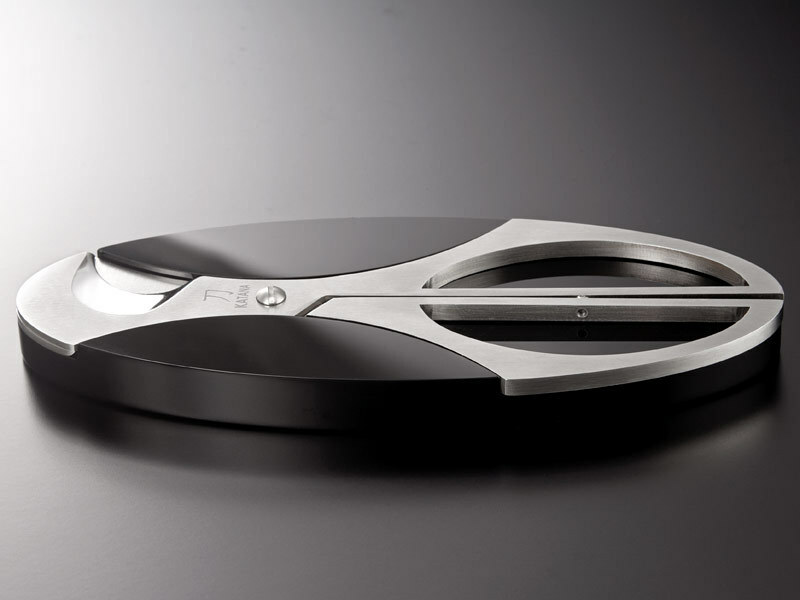 VAL cigar scissors "katana" is a gem of MADE IN JAPAN, which based on the supreme craftsmanship of Japan. 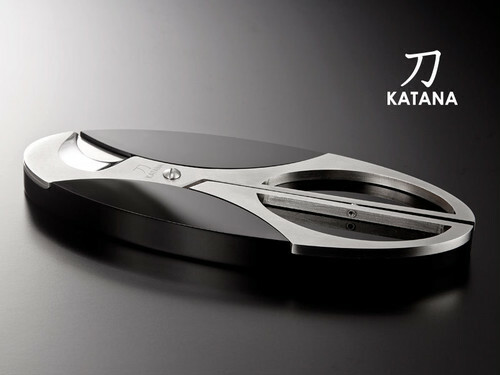 By inheriting the design of the nanbu-tekki OH! VAL cigar ashtray, scissors and base is integrated design. 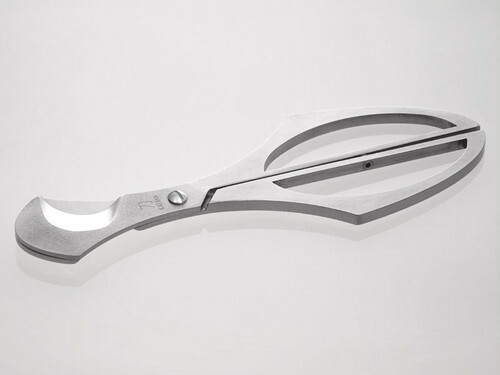 Scissors sharpness and body are protected by placing the base. 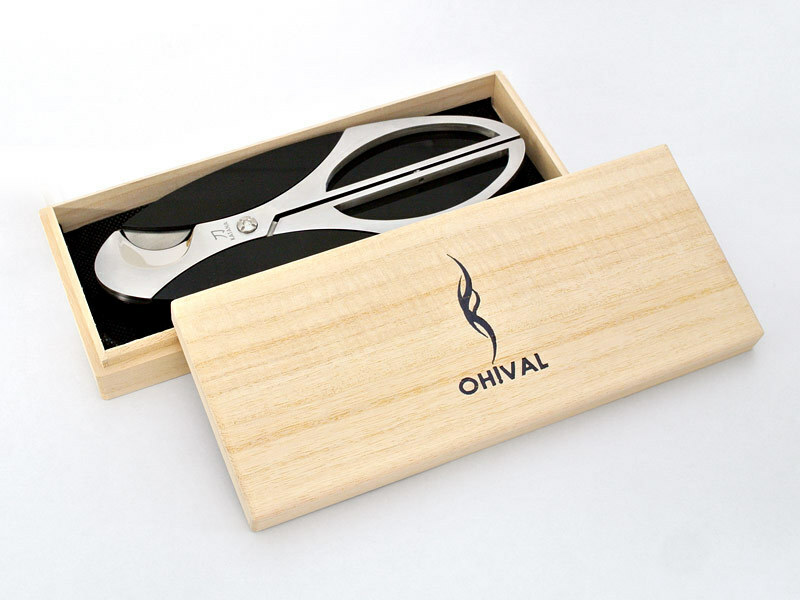 Please have a wonderful smoking time and enjoy cigar life by OH!VAL cigar scissors. [size and weight] length: 18.5cm, width: 7cm, thickness: 0.8cm(with base total:1.5cm), weight: about 130g(with base total: about 270g). 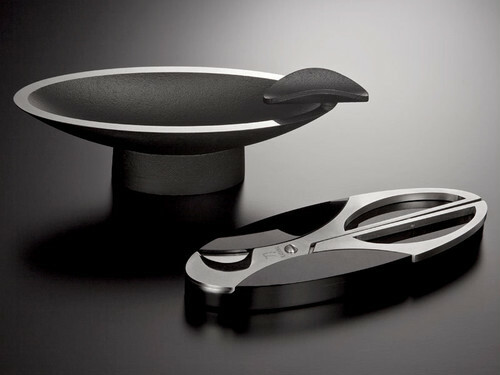 [etc] diameter of cutter blade: 28mm, MADE IN JAPAN.